I was recently lamenting the fact that, due to all the changes I and my group have made to MicroLite20, I can't just point to a single document and say that that's our rulebook. So, I decided to list the main rules changes we've made as succinctly as possible. Unless otherwise stated, everybody conforms to the original m20 rules available here, or here, by Greywulf. In addition to Humans, Elves, Dwarves and Halflings (Gnomes), there are also Half-Orcs (+1 Str, +1 Phys and Sub), Planetouched (+1 Mind, +1 Know and Com), and Constructs (+5 on saves against poison, disease and suffocation/drowning). every odd numbered level opens up a feat slot. What feats you can take are determined by race and class, but you don't get a feat automatically. Sometimes a feat needs to be learned from a teacher, sometimes you pick it up to replicate, long-term, something the GM let you do on a special occasion. A compilation of feats will be forthcoming at some point. Until then, this is an optional rule. sneak attacks deal an additional 3+level damage (this is not connected to the Rogue's Subterfuge bonus). Wizards can use books, wands and staffs as focuses for magical energy, working like ranged weapons (light crossbow, shortbow and longbow, respectively). They get no favoured/signature spells (but spells are cheaper, and they have more hp, see below). Get 2 + level + Mind bonus uses of their music per day. By default they can use music to charm individuals, hypnotize crowds, and counter other sound-based effects, and can do other things with the right feats. They can wear light armour, and get +2 Subterfuge, Knowledge, and Communication. Get no spells or turn undead uses, but get to pray without any penalties, and with an optional re-roll. They can also tend to another character, allowing them to make a new save against an on-going non-permanent effect, or to spend a healing surge with a re-roll. 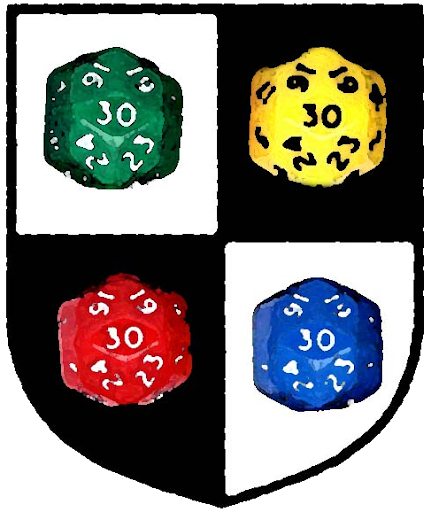 Use the normal D&D 3.5 system of 1 move action, 1 standard action, or 2 move actions, or one full-round action. Are rolled using a d8. Every character gets 4 healing surges plus their Strength bonus, per day. They may spend a healing surge as a standard action to heal 1d8 lost hp. Any healing effect will require the usage of a healing surge. Are either 5 per level for "mooks", or 10 per level for "boss" monsters/characters encountered on their own. NPCs have healing surges, but most can't use them unless they have some outside effect working on them (such as a cleric). The GM will say when an NPC gets down to half it's hit points (is "bloodied"). Skills are equal to the character's racial and/or class bonuses, plus half their level, rounded up. Attacks are divided into Strength attack (non-light melee weapons), Dexterity attack (light melee and thrown weapons), and Mind attack (bows, crossbows, firearms and spells). Each is the relevant ability modifier plus the character's level. There are no iterative attacks, although dual-wielding works as in the M20 books. Additionally, characters add half their level (rounded down) to their damage rolls. Adventuring wizards know all the spells in the Adventurer's Spellbook, and can learn/create more, although the highest level of spells that is possible is level 7. Spells cost 2 hp per spell level, minimum of 1 hp. This damage is normal damage, and can be healed by anything that normally restores lost hp. If a spells is experimental, or of a spell level too high for the wizard (greater than character level+1, halved), there is a 50% chance the spell will backfire and do something weird and random. Otherwise that only happens when the wizard rolls a natural 1. Spells cast through prayer work the same way. Objects are weighed in Stone (14 pounds, or 6 kilograms), rounding off, with 1000 coins weighing a stone. A character can carry half their Strength score in stone, rounding up, without any trouble. More than that can only be carried for short periods. XP is handed out for fights, carousing, and eXPloration. Characters have to achieve something to go up a level (defeat a worthy foe in a new way, commit a new crime, learn a new spell, spread fandom/religion to new people, or something along those lines).